Last night I watched the Academy Award winning movie The Imitation Game, which recounts the story of how a group of British mathematicians and cryptographers, led by the enigmatic genius Alan Turing, broke the Nazi “Enigma” code for transmitting military messages and by doing so shortened World War II by two years saving millions of lives. The story is a compelling one, not only as a sort of detective story, but also as a very human story of perseverance, passion, heroism and broken lives. As a literacy specialist, though, one message from the film jumped out in bas relief. The elusive code was broken only when the codebreakers realized that the messages followed a discernible pattern. Once the pattern was discovered, in this case the Nazi habit of sending a 6 AM weather report each day and ending each message with “Heil Hitler”, the rudimentary computer that Turing designed was able to generalize to a complete translation of the code. This is essentially what our 5 and 6 year old children do every day – generalize from a few known meaningful elements to break the alphabetic code and come to be fluent readers. I bolded the word “meaningful” above, because I wish to emphasize that it is meaningful encounters with print that allows children to learn to decode. It is not enough to teach children to match letters to sounds in abstract “phonics” lessons. 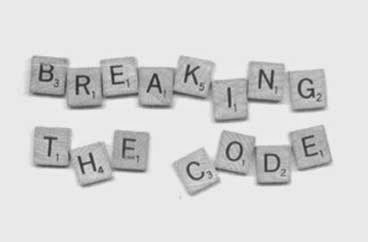 In order to activate the skilled “code breaking” abilities that all children have, we must present the code in the context of meaningful language. Children learn to speak by encountering oral language in real world contexts, so to will they learn to decode when they are presented with meaningful reading contexts. Learning to read is a multidimensional pursuit. Lots of things have to happen simultaneously. That’s why in my scheme teachers are always teaching words (decoding and meaning), fluency, comprehension, and writing—not one after the other but simultaneously. Kids who are learning to decode should also be learning the cadences of text and how to think about what they read. All at the same time. Regular readers of this blog know that Shanahan and I don’t always agree, but we are in agreement here. Of course, doing all this instruction “at the same time” is a daunting task for the teacher. What does this instruction look like? Here are a few ideas. Interactive Writing – Interactive writing or shared pen is a language activity that involves the teacher and children in constructing meaningful messages, while also working on sound symbol relationships. At a “Morning Meeting” or following a class read aloud the teacher leads the children in a writing activity on chart paper for all to see. The teacher does the bulk of the writing, but shares the pen with students who get to practice their growing phonics knowledge by matching the sounds of the words they wish to write with the letters needed to write it. For more on interactive writing see Reading Rockets here. Shared Reading – In shared reading teachers use a “big book” or poem written on chart paper to lead the children in reading. Children join in the reading with the teacher’s support and the structure allows the teacher to provide instruction in decoding words in a real language context. Reading Rockets has a good description of Shared Reading here. Cut Up Sentences – Children can practice their growing phonics understanding and sight words through cut up sentences. With teacher assistance, students generate a sentence based on a story they have read or an experience they have had. The teacher (or students) writes the sentence on a sentence strip and reads it with the student. The teacher then cuts up the sentence into separate words and the students are challenged to put it back together. Again a meaningful context forms the basis of a decoding lesson. Prompting at Point of Difficulty – I have written in an earlier post about the limits of “sounding it out” as a strategy when students encounter difficulty while reading a word in a story. Since decoding depends not just on phonics, but also on the structure of language and the meaning of the story, skilled teachers use prompts like “Does that sound right?” Does that make sense?” and “Does that look right?” to help students coordinate all the cues available to them as they try to decode a novel word. Word Families – Many words are best understood not as a series of individual letters to be “sounded out”, but as groupings of letters to be thought of as a whole. Research has shown that students can discern these patterns and use them for more efficient decoding. Word families like –ight words are best taught as families with an onset and rime. The word “flight” is made up of the onset “fl” and the rime “ight.” Teaching students to look for these patterns and use words that they already know to generalize to words with like patterns makes decoding more efficient and reading more fluent. Think Aloud – Often just talking about words and the strategies that skilled readers use to decode can be helpful to students. I like to use think alouds when talking about particularly knotty problems in decoding such as silent letters. Students who over-rely on “sounding it out” may encounter difficulty with a word like “sign.” I like to “think aloud” with the students here. Suppose the students encounter the sentence, “Mom put her finger to her mouth and gave me the sign to be quiet.” In this context I would talk about how the word “sign” comes from the word “signal” and that in English spelling we often keep letters that are silent to help us understand the meaning. So while the letter “g” in “sign” is silent, it is still helpful because it reminds us that this word means something like “signal.” Sharing knowledge and insights about words can help children not only comprehend, but also decode. Like the cryptographers in The Imitation Game, children have a problem to solve when they encounter new and novel words. The best way to help them solve the problem is to provide instruction that is both targeted and in a meaningful context. Do Readers Shift from Learning to Read to Reading to Learn? But a reading comprehension test is a de facto test of background knowledge and vocabulary acquired in school and out. It doesn’t take very many missing bits of background knowledge and vocabulary to rob a reading passage of meaning. Pondiscio even speculates that we should do away with high stakes reading tests beyond grade three. I can certainly agree with him there, although I would do away with them altogether. When it comes to a discussion of literacy instruction, however, Pondiscio and I part company. In the USA today article Pondiscio says that he wants to clear up some “common misconceptions about reading.” He then perpetuates some common misconceptions about reading. The boy studied for the big test all ___________. Chances are you have generated words like the following: day, night, evening, afternoon, morning, week. Notice that all the words generated were nouns. All native and proficient speakers of English know that a noun will come in this place in the sentence because this is Standard English syntax. Only a noun will "sound right." Notice also that all the words you generated to end this sentence are nouns of time. Because we expect English to "make sense" we use our semantic understanding of the language to predict a meaningful word for the context. The boy studied for the big test all n__________. Immediately you are likely to say "night", because it looks right, sounds right and makes sense. Notice also that if you tried "sounding out" this word, you would run into trouble because the "gh" is silent. From this more complete view of decoding, we see the reader as a problem solver drawing on many pieces of information, including comprehension of the text up to this point, to decode. So, even in learning to decode, children who have rich and broad background knowledge and who are native speakers of English have an advantage that is not unlike the advantage that they would have in a test of comprehension. When it comes to what he considers the second part of this dichotomy, reading comprehension, Pondiscio argues that reading comprehension is not a skill. To understand Pondiscio’s stance on reading comprehension, it is important to have some background knowledge on him. Before joining the Fordham Foundation, he worked as Director of Communications for the Core Knowledge Foundation. The Core Knowledge Foundation, of course, is the organization founded by E. D. Hirsch and dedicated to the proposition that what is missing from American education is lots of knowledge of “stuff.” The Core Knowledge Foundation is devoted to the idea that kids need to learn lots of “stuff” and this “stuff” is the essence of education. So it is not surprising that Pondiscio’s view of reading comprehension is dominated by the idea that you need to know lots of stuff to read and comprehend well. He is not entirely wrong about this, although I suspect that we could all have some good arguments around what “stuff” we should all know and that in the age of the internet whether it is more important to acquire knowledge of stuff or knowledge about how to find and critically analyze all the “stuff” that is out there. Where he is wrong is in asserting that reading comprehension is not a skill, because it most certainly is. Pondiscio is partly right when he asserts that reading comprehension is greatly impacted by background knowledge, something that was not acknowledged by the “chief architects” of the Common Core. But reading comprehension is also partly a skill and it is a skill that can and should be directly taught (See Fielding and Pearson here and Duke and Pearson here). What are the skills of reading comprehension that we should be directly teaching? According to Duke and Pearson they include the following. All of our good direct instruction in reading comprehension strategies cannot take the place of lots of opportunities for children to read widely in a variety of texts. On this point Pondiscio and I agree. Reading widely is critical to building the background knowledge for further reading. I think this wide reading is likely to be more productive if we also help students do it more skillfully through informed instruction in the skills related to comprehending text. It is more useful to think of reading not as a dichotomy divided into the “skill” of decoding and a content knowledge driven comprehension, but rather as a unified and active search for meaning practiced at various levels of proficiency by children who are developing both the skill and the will to read. Children don’t shift from learning to read to reading to learn as Pondiscio suggests; they actively read to make sense of what they read from the first time they pick up a book. This effort to make sense drives the development of decoding skills, comprehension strategies and content knowledge. I laughed in spite of myself. I, of course, explained that sometimes in life you need that one right answer. If you are building a bridge or balancing a check book or trying to locate a place on a map, you need that one right answer. But I also took some pride in the response. After all, I had become a social studies teacher, in part, because I enjoyed the give and take of a good discussion about issues that had many possible, and no absolutely correct, answers. I am reminded of this story today, because I am reading about the impact of the country’s current obsession with standardized tests on creativity, innovation and divergent thinking. By far the most important book on this topic is Who's Afraid of the Big Bad Dragon? Why China has the Best (And Worst) Educational System in the World by Yong Zhao. Zhao was born and educated in China. He came to the United States to attend graduate school and is currently a professor at the University of Oregon. He says that China has achieved preeminence in the world in student performance on standardized tests, but has done so at the cost of creativity, originality and individualism. What are the possible costs to a country like China that relies on a standardized test driven educational system focused on accountability and higher test scores? [A] narrow education experience that is centrally dictated, uniformly programmed and constantly monitored by standardized tests is unlikely to value individual talents, respect students’ interest and passion, cultivate creativity or entrepreneurial thinking, or foster the development of non cognitive capacities. But it is the diversity of talents, passion-driven creativity and entrepreneurship, and social-emotional well-being of individuals that are needed for the future economy. And what kind of education should we be focused on in the United States? The education we need is actually quite simply “follow the child.” We need an education that enhances individual strengths, follows children’s passions and fosters their social-emotional development. We do not need an authoritarian education that aims to fix children’s deficits according to externally prescribed standards. The danger that the American educational system faces is palpable and real. By focusing on standardized test score comparisons with countries that do not match our culture or our children we risk destroying all that is good in this country's educational system. A world class educational system is one that focuses on the academic, social, emotional and physical development of every individual child. As I talk to teachers, parents and students in our schools today, I hear their concern. Many are aware that something is being lost. For teachers it is often the opportunity to follow students interests when an interesting question occurs. For parents it is concern over time devoted to test preparation that could be spent on art, music or physical education. For students it is the anxiety produced by having to take tests with ill defined consequences and heightened expectations. 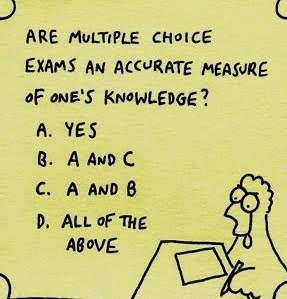 When students take a standardized test, they usually face a multiple choice question with four choices. Often several choices could be correct, but students know that only one answer will be considered correct. Standardized tests do not leave room for alternatives. They embody the tyranny of the one right answer. Educational policy makers on the national and state level have bought into standardized tests as the one right answer. They are wrong and the tyranny of that one right answer may very well come to haunt us in the future when we begin to ask, "Where has American innovation and creativity gone?" This is not a multiple choice question. We may find that American innovation and creative thought has gone the way of the dodo bird, driven to extinction by an environment that holds test scores to be the route to improved learning. Last week, 70% of the students at Princeton High School in New Jersey opted out of taking the Common Core aligned PARCC standardized test. Apparently, they determined that after weighing all the variables, they were better off not taking it. Now that is in the grand tradition of American innovation, creativity and independence. What responsibility do standardized test advocates have to the tested? In recent posts I have been addressing issues related to student testing on the PARCC, SBAC and DIBELS. My research for these posts has led me down many dark alleys and more than a few rabbit holes, but one piece of information I came across created a real "Eureka!" moment in my standardized test addled brain. The discovery, which was roaming fuzzily around in my mind for a long time, finally came into focus when I discovered the concept of consequential validity. Most of you who are certified teachers probably remember something about test validity from that ed. psch. course you took as an undergraduate. Simply stated a standardized test is said to be valid (at least statistically) if it measures what it claims to measure. So, a test of reading comprehension would be required to demonstrate that it indeed measured reading comprehension and not something else, like say, the relative wealth of the people taking the test. But in 1989 a psychologist named Samuel Messick posited that tests had a higher calling to answer to than just a statistical validity. A test also needed to be valid in the way it was used and interpreted. Messick called this new take on testing consequential validity. Consequential validity requires test makers and test givers and test interpreters to ask, "What are the risks if the tests are invalid or incorrectly interpreted?" and "Is the test worthwhile given the risks?" The recent history of the test and punish movement in America would suggest that we are coming up very short in the consequential validity department. A recent report from Fair Test chronicles the failure of the No Child Left Behind (NCLB) law of 2002 to meet any of its stated goals. NCLB, of course, brought on yearly standardized testing in grades 3-8 with the promise of narrowing the achievement gap in America's schools. Fair Test found that NCLB has been notably unsuccessful in narrowing gaps and that in many cases (such as English Language Learners, students with disabilities) the gaps are wider than they were in 1998. Clearly, the NCLB testing regime has failed to narrow achievement gaps, but that is not the worst news. Just what have been the consequences for children of this move to more standardized testing? According to Fair Test the consequences include widespread evidence of curriculum narrowing, extensive teaching to the test, pushing low-scorers out of school and widespread cheating scandals. I could add a few more consequences to this list. Since these tests were used to label schools erroneously as "failing", the tests have undermined the morale of teaching staffs and demonized schools in urban areas struggling with myriad issues ranging from student poverty to lack of textbooks to crumbling infrastructure. Many elementary schools have done away with recess to cram in more test prep. New elementary schools were built without a playground, because the test trumped student active play. Less time was allotted for arts instruction, so that students could focus on tested subjects. Could future researchers point back to NCLB and find other consequences like increased obesity and a declining participation in the arts? Tying teacher evaluation and sanctions to test score results can discourage teachers from wanting to work in schools with the neediest students, while the large, unpredictable variation in the results and their perceived unfairness can undermine teacher morale. Surveys have found that teacher attrition and demoralization have been associated with test-based accountability efforts, particularly in high-need schools. So, one consequence of the new testing regime is likely to be to make it even harder for urban schools to recruit the best, brightest, most dedicated teachers. In New York where the new tests have already been instituted, State Department of Education officials predicted that as a consequence of the new test only 30% of children would be found proficient. Low and behold this prophesy came true, perhaps because those same officials were responsible for determining the "cut scores" after the test results were in. What were the consequences? Further humiliation of children, teachers and schools and a general outcry from concerned parents. The parental concern led federal Secretary of Education to declare that these "white suburban moms" were surprised to find their kids were not as smart as they thought. No officials seemed to consider that the tests were not as smart as they might be. As the new tests spread across the country we can predict that students’ scores will fall. Testing advocates will cheer and say the new tougher standards have been validated and they will use the scores to push for more school choice, more charter schools, more teacher union bashing and more tests. These are the consequences we can look forward to as the push for more standardized testing continues. 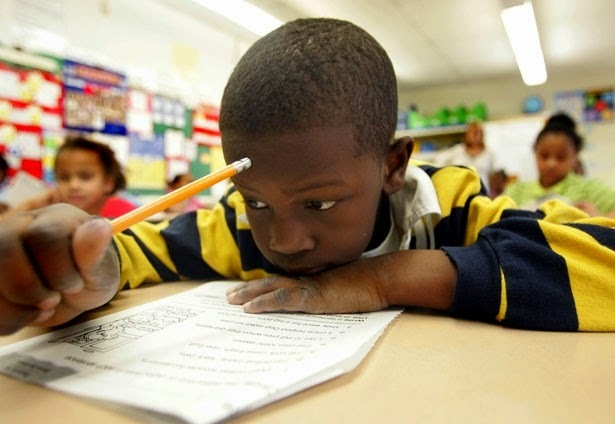 These tests have already proven that they have no validity as a tool for narrowing achievement gaps or for improving the lives of the vast majority of the 25% of American children living in poverty. When we look at the consequences of standardized testing, low student and teacher moral, narrowed curriculum, cheating scandals, test prep parading as learning, it is also clear that this level of high stakes standardized testing in schools fails the test of consequential validity. To return to Messick again I would ask, "Are these tests worth the risks?" The clear answer is absolutely not. As Lily Tomlin's wise little girl character, Edith Ann would say, "And that's the truth!" Are a set of procedures and measures for assessing the acquisition of early literacy skills from kindergarten through sixth grade. They are designed to be short (one minute) fluency measures used to regularly monitor the development of early literacy and early reading skills. In practice DIBELS is a set of one-minute tests of a student’s ability to name letters, segment phonemes, identify initial sounds in words, read nonsense words, read fluently and retell. The creators of DIBELS argue that student ability to perform these tasks in strictly timed situations predicts their future reading success or struggles. DIBELS came to be widely used because it was closely tied to the Reading First and NCLB initiatives of the last 15 years. DIBELS fit nicely into the Reading First push for “scientifically researched” practices. The creators of DIBELS, a group of researchers out of the University of Oregon, were able to generate lots of experimental data showing DIBELS was a reliable instrument. Many school districts were forced to adopt DIBELS assessments in order to qualify for government funding. But from the start DIBELS has generated controversy. A special education commissioner for the U. S. Department of Education named Ed Kame ‘enui, resigned after a Congressional investigation found that he had “gained significant financial benefit” by promoting DIBELS from his government position. Two other Department of Education employees were also implicated in the investigation. Perhaps more importantly, many, many highly respected literacy researchers have found that the impact of DIBELS has moved instruction away from what we know works for children. I have decided to join that group of scholars and teachers and parents who are convinced that DIBELS is the worst thing to happen to the teaching of reading since the development of flash cards (Goodman, K. et. al. (2007) The Truth About Dibels). DIBELS is based upon a flawed view of the nature of the reading process and, because of this fundamental flaw, provides all who use it with a misrepresentation of reading development. It digs too deeply into the infrastructure of reading skill and process and comes up with a lot of bits and pieces but not the orchestrated whole of reading as a skilled human process. What is it that makes DIBELS the “worst thing to happen to reading instruction since flash cards?” As Pearson sees it, the use of DIBELS in the schools has an undue influence on the curriculum, driving reading instruction to a focus on the little bits of reading and away from a focus on the whole of literacy instruction. Students are held accountable to the indicators of reading progress rather than actual reading progress and teachers are forced to instruct in ways that violate well-documented theories of development and broader curricular goals. In other words, DIBELS becomes the driver of the curriculum and the curriculum is narrowed in unproductive ways as a result. Ultimately, Pearson says, DIBELS fails the test of consequential validity. In other words, the widespread employment of DIBELS has had dire consequences on the actual teaching of reading. Teachers have been forced through this test to focus on a narrow definition of the “stuff” of learning to read, rather than on the broader context of what reading actually is – the ability to make sense of squiggles on a page made by an author. The consequences of DIBELS makes it unworthy to use as an assessment tool. If DIBELS has become a scourge in your school or school district, I suggest you gather up the research cited here and question those who are foisting this highly flawed, and ultimately counterproductive, assessment practice on your students and fellow teachers. Two weeks ago I ventured into the world of PARCC testing with several posts on the readability of the reading comprehension passages of the new Common Core aligned PARCC tests, which are being administered right now in many states. You can find those posts here, here and here. Some readers expressed concern about the readability of the PARCC math exams and asked me to take a look at it. Background: Readability on a math exam matters. 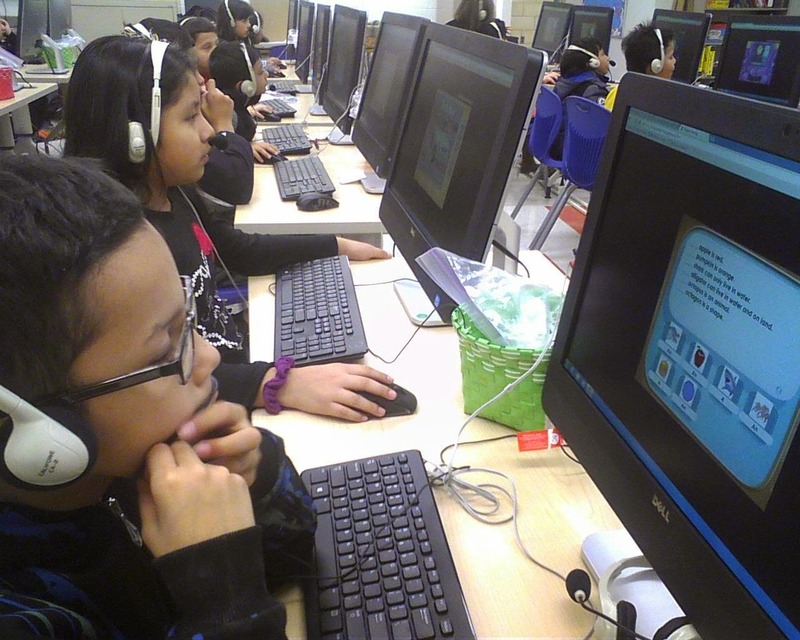 While we might assume that a math exam assesses a students ability to perform various mathematical computations, all of the math questions on the PARCC required some literacy skills as well. A study by Abedi and Lord published in Applied Measurement in Education found that linguistic complexity of math word problems can have a significant impact on the test scores of inexperienced problem solvers, English Language Learners and students with disabilities. The question that must be asked is simply, "Does the PARCC measure computation skills or a combination of literacy skills and computation skills?" And we might further ask, "Will students with on grade level reading skills be disadvantaged by the reading required on the math exam?" Method: I will not rehash all my reservations about readability measures here. You can look at the posts on the reading comprehension part of the PARCC if you would like a fuller explanation. Suffice it to say here that readability measures can only give us an approximation of the difficulty of any one text on any one reader, so all results need to be taken with a grain of salt. For the purposes of this post, I looked at the PARCC Mathematics Practice Tests. In order to get a sample of 300 hundred words to do a readability measure, I sampled word problems from the beginning, middle, and end of the test. I hoped this would give me a sense of the readability of the word problems. I ran the passages for each grade level 3-8 through several readability formulas: Lexile, Flesch-Kincaid (FK), Fry and Flesch Reading Ease (FRE) scale. Lexile is the preferred readability formula of the Common Core architects and are expressed as grade ranges. These Lexile ranges were adjusted upward as a part of the Common Core's push for "college and career readiness. "The other scales are commonly used readability measures. The Flesch Reading Ease Scale provides a number rating based on 90-100 being easy reading for 11-year-olds and 60-70 being easy for most 12-13 year-olds. On grade level readers in grades 3 and 4 are going to find the reading required on the PARCC math tests to be very challenging. This will surely impact their scores on the test. On grade level readers in grades 5-8 should be able to handle the reading demands of the test. Below grade level readers, English Language Learners, and students with disabilities related to language processing will find the reading required for these tests very challenging. This will impact their scores on the PARCC math tests. Conclusions: Because readability formulas are volatile and inexact, we must draw conclusions carefully. I have not examined the qualitative aspects of these texts (how readable do they appear in light of the age of the children reading them); however, some tentative conclusions can be drawn from this initial look. 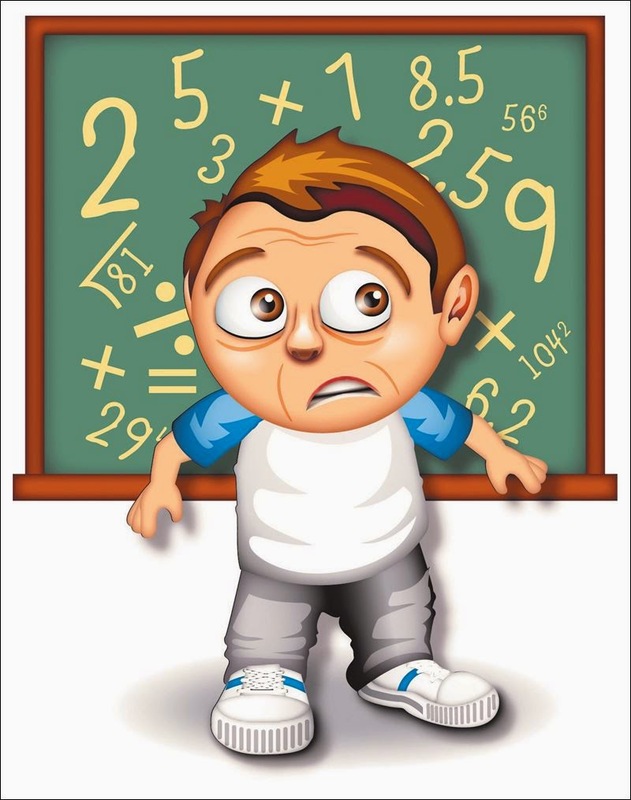 Teachers, administrators and parents must treat the results of the PARCC math tests with extreme caution. The math test scores will surely be influenced by the ability of the students to read the material. Separating out what is a computational weakness and what is a reading weakness will be left to the observation and intervention of the classroom teacher. 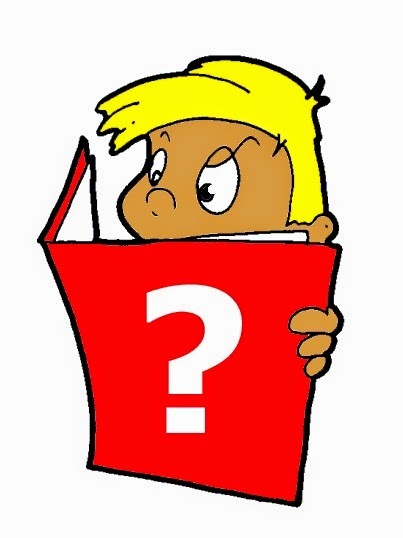 Questions must be asked about the validity of the test scores in grades 3 and 4 based on the challenging level of the reading. In third grade, even by the revised and Common Core championed Lexile measures, the reading is very challenging and perhaps inappropriate for the age and grade level of the children. These tests are clearly too imprecise to be used for any kind of high stakes decisions, including student placement, teacher evaluation or school effectiveness. Any attempts to use these tests for such purposes will be fraught with error and would have potentially damaging results for children, teachers, parents and schools. Thanks to my friend and fellow blogger, Dave Raudenbush, for pointing out that today is National Grammar Day. I went to the web site for National Grammar Day and found it apparently dedicated, not so much to good grammar, as to good old American hucksterism. The site is there mostly to sell the sponsors' books and t-shirts. See what I did there, grammar fans? "Sponsors'" with an apostrophe after the "s" indicates more than one and that is what I mean to say. The site did point me to some handy grammar tips from "Grammar Girl", so you might want to check it out. My favorite grammar story comes from Winston Churchill. Besides being the Prime Minister of England and one of the great political leaders of the twentieth century, Churchill was a notable writer. His histories of World War II are still considered must reading for historians. The story goes that once some cheeky editor suggested changes to a Churchill manuscript, because it contained, horror of horrors, a preposition at the end of a sentence. Churchill responded to this red pen wielding upstart with the following: "Your suggestion that I edit this sentence is a bit of impertinence up with which I shall not put." I have since learned that the story may be apocryphal, but true or not, the tale illustrates an important point. Much of what we are taught as the rules of grammar are simply not rules. There is no reason to avoid ending a sentence with a preposition, unless adding the preposition is redundant as in "Where are you at? ", which is incorrect because "Where are you?" carries the same meaning. However, as the Churchill story illustrates, avoiding a preposition at the end of a sentence can lead to awkward construction. Prepositions at the end of a sentence is something we should all be able to put up with:). Those eagle-eyed grammarians out there may have noticed that I used "however" to begin a sentence in the last paragraph. My seventh grade English teacher, Mrs. McGarry, would be appalled. But this is another of those grammar rules we all have been taught that simply are not true. Beginning a sentence with a coordinating conjunction is perfectly grammatical. Here is what the Chicago Style Manual has to say on the subject. Grammarians speculate that long ago teachers noticed that students tended to overuse "and" or "but" at the beginning of sentences and so they banned the practice. Apparently, teachers have repeated this false "rule" over the following years, decades and centuries. There is one grammar error that I keep hearing and which drives me batty. I am referring to the incorrect use of the word "myself" as a substitute for "me." For example, "The boss wants to meet with John and myself." The correct usage is, of course, "The boss wants to meet with John and me." "Myself" is a reflexive pronoun that is used only in conjunction with the pronoun "I." So it is correct to say, "I did it all by myself", or "I myself completed the task. "Myself" has become so ubiquitous as a substitute for "me", that when I use "me" correctly in a sentence, I get the distinct impression that people think I've gotten it wrong myself. Please, don't blame me. In general, as teachers, I think we should avoid teaching grammar as a set of rules and start to teach it as a set of tools for the writer. Writers manipulate grammar for their own purposes all the time. Here is a paragraph from the Cynthia Rylant story, "My Grandmother's Hair." Wow, three sentence fragments in a row. Why does Rylant do this? I would speculate that Rylant liked the rhythm created here. It helps to create the tone of nostalgia and reminiscence that the story carries forward. My seventh grade teacher, Mrs. McGarry, would have bled all over this paragraph with her red pen had I turned it in, but as we see, great writers manipulate grammar to their purposes. I know what you are thinking, "It's OK for Rylant to break the rules, because she knows what the rules are, but kids need to learn the rules first." I am not so sure. What better way to learn the difference between a complete sentence and a fragment than to actually use fragments and complete sentences in our writing and then talk about them as choices a writer makes? For a wonderful book on teaching grammar as a tool for writers, I recommend Image Grammar by Harry Noden. The book is out of print now, but still available at used book stores. There is also an online resource companion to the book that you can find here. 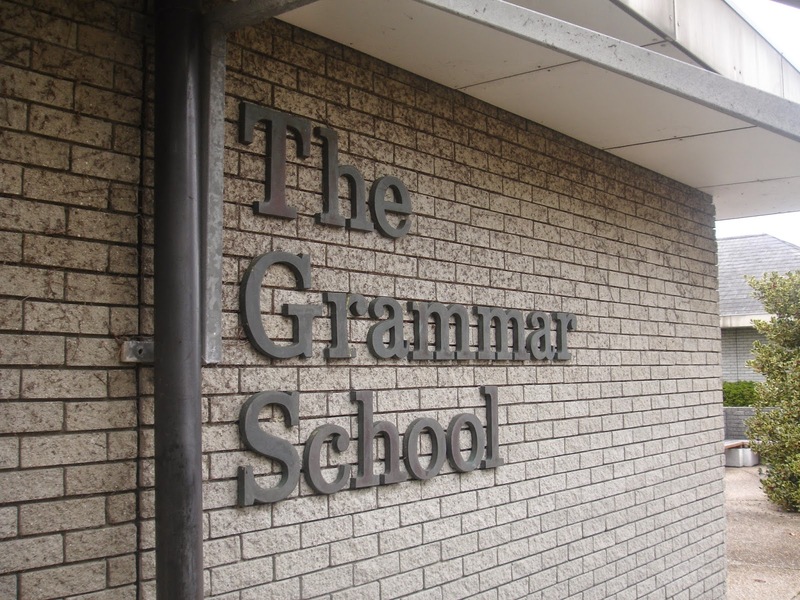 If we can engage our student writers in conversations about grammatical choices, rather than trying to inculcate them with grammar rules, I think we have a better chance of creating writers who learn the rules, and learn to bend them, along the way.